This two-bedroom, two-bath unit is the largest floor plan at Las Vistas. The charming home has tile floors, an eat-in kitchen with lots of counter and cabinet space. Additionally, there are walk-in closets in the spacious bedrooms. Community amenities include four private swimming pools, a spa, tennis and racquet ball courts, and a state of the art two-story fitness center. 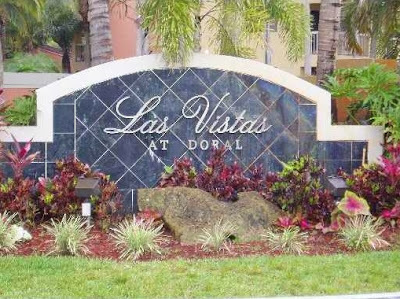 Las Vistas at Doral is situated in the heart of Doral very close to the Doral Golf Resort as well as Miami International mall and Dolphin Mall. List prices for units at Las Vistas range from the low-$100s to about $200K. For investors, Las Vistas rental rates fall between $1,100 and about $1,500 per month. This is a beautiful two-bedroom, two-bath unit at Bleau Fontaine with gorgeous marble floors and a wonderful tile patio that opens to a delightful small courtyard. The building housing this unit is a boutique building with only 28 units in two stories. 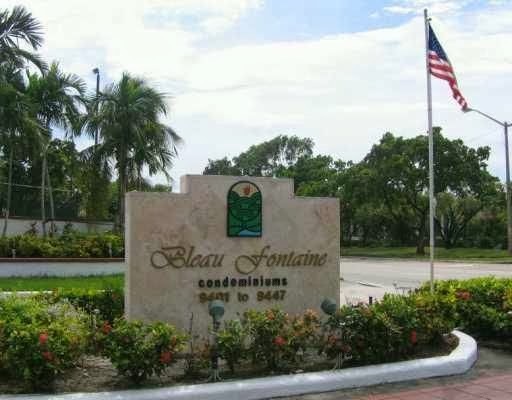 Bleau Fontaine is ideally located on the edge of Doral close to the main travel arteries in and out of Miami-Dade as well as Miami International Airport, the beaches, Downtown Miami and excellent schools. Additionally, shopping, restaurants and other conveniences are nearby. Residents have full use of the community pool as well as tennis courts and a guarded entrance. Two-bedrooms typically list between the low to high-$100s with rental rates falling around $1,500 per month. As the most recently reported home sale, this residence is just over 1,300 square feet and has two bedrooms and two baths. The open floor plan is perfectly laid out to provide tons of room for small families as well as those who work from home. The kitchen offers tons of counter space, excellent appliances and plenty of cabinets. This unit is an excellent investment property with an annual tenant paying $1,375 per month in place until mid-December. The Courts at Doral is a gated neighborhood adjacent to Doral Isles and features a community pool, playground, and clubhouse for residents. List prices typically range anywhere from the low-$200s to about $300K. 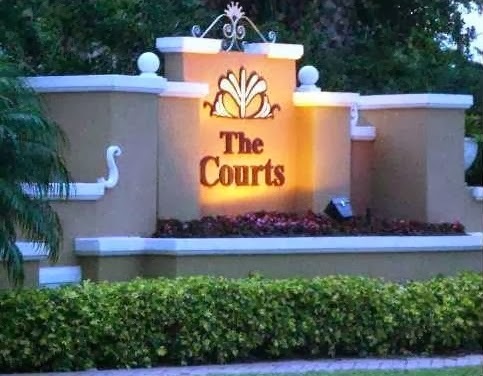 The Courts at Doral offer excellent investment opportunities as rental residents like the community because of what it has to offer in terms of security and amenities. Current rental listings feature monthly rental rates between $1,500 and $1,900. This Mediterranean-style home, built in 1996, has tons of upgrades. From the new kitchen with stainless steel appliances, granite counter tops and tiled back splash to the contemporary baths, this home has so much to offer. The floor plan is perfectly laid out with high ceilings and lots of light. Doral Landings is an exclusive gated community with a guard house attendant. The neighborhood is close to top golf courses as well as major thoroughfares in and out of Miami-Dade County. 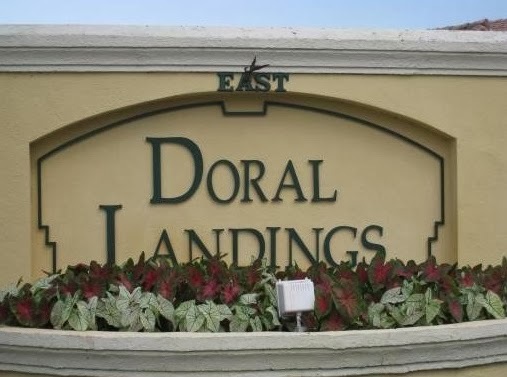 List prices at Doral Landings typically start in the upper $200s and climb to about $500K. For investors, annual renters typically pay around $2,500 to $3,000 per month. Located in guard-gated Doral Meadows, this one-story home has three bedrooms and two baths as well as a large family room and a fully remodeled kitchen and laminate flooring throughout the home. The kitchen features upgrades like stainless steel appliances, granite counter tops and custom cabinetry. The home is situated on a large 5,800+ square foot corner lot with tropical landscaping and a tiled rear courtyard perfect for enjoying the Florida weather. Community amenities include a large clubhouse and pool as well as a six-acre lake with a fountain. Doral Meadows is one of the nicest neighborhoods in Doral and one in which residents want to live. Recent sale prices range in the mid to upper-$400s while list prices for the two homes for sale in Doral Meadows are $409K and $515K. The most recent sales include a nice mix of condominium and single-family home properties. Whether seeking a permanent residence in one of Doral’s premiere gated neighborhoods or looking for rental properties as an investment in any of the condominium and townhouse communities, list and sales prices are climbing as the news suggests. 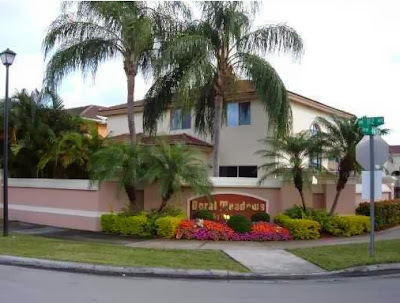 Doral is, without a doubt, an excellent choice for buying real estate.